SUPERIOR 110! 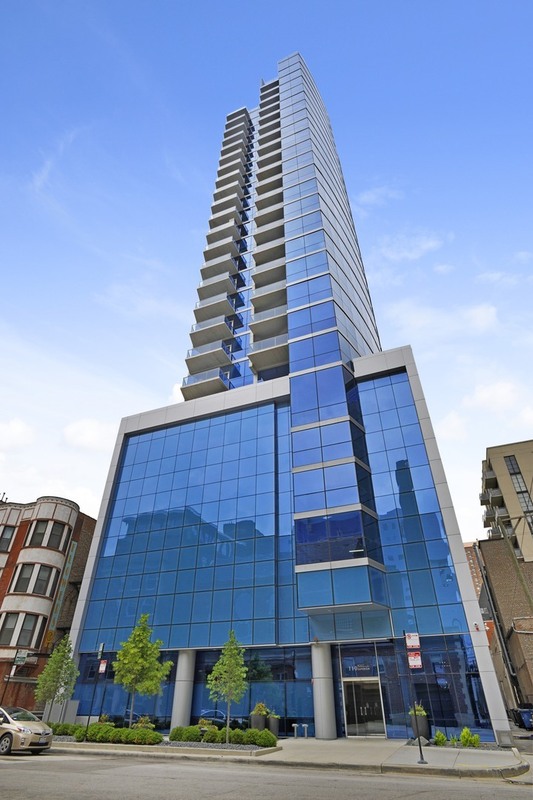 PRIME RIVER NORTH LOCATION, 2BDRM/2BATH CORNER UNIT W/GREAT SW VIEWS! STUNNING FLOOR TO CEILING/WALL-WALL WINDOWS AND A SPACIOUS BALCONY OFF THE LIVING SPACE. KITCHEN W/SNAIDERO CABS, SUBZERO/WOLF APPL'S & GLASS TILE BACKSPLASH & WHITE QUARTZ COUNTERS. PLENTY OF SPACE FOR A DINING TABLE! SPACIOUS BATHS W/SNAIDERO VANITIES, GROHE FIXTURES, HUGE WALK-IN SHOWER IN MASTER & JETTED TUB IN BATH 2. SPEAKER WIRING & SMARTHOME CENTER, RECESSED LIGHTING W/DIMMERS, 3" WIDE OAK PLANK HWFLS & FULL SIZE FRONT LOAD W/D. WELL RUN BUILDING W/24-HOUR DOORMAN, FITNESS & BUSINESS CENTERS, DOG RUN. WALK TO EVERYTHING LOCATION INCL PUBLIC TRANSPORTATION, SHOPPING & THE NEW RIVERWALK. 1 DEEDED GARAGE SPACE & STORAGE INCLUDED. LIKE NEW CONDITION! Coffee Shop 0.18 mile - River North-Erie & Dearnborn Starbucks @ 30 W. Erie St.
Property information last modified by seller on Wednesday, March 20, 2019, 11:51 AM CDT. Information Deemed Reliable But Not Guaranteed. Unauthorized duplication, use, or linkage is prohibited. The information on this web site is for personal, non-commercial use and may not be used for any purpose other than to identify prospective properties consumers may be interested in purchasing. Monthly Payment Calculator results are for illustrative purposes only, not a financing opportunity; calculations assume a 30-year fixed-rate mortgage and do not include closing and other costs. Property Tax on NEW properties is estimated at 1.5% of Listing Price for payment calculation purposes; actual value may be higher or lower.